Lily's Ink Pad: Sneak Peek: A day all about you! When I get new stuff, it's hard to not use everything new at once. I tried to limit myself, but as you can see, there are plenty of details on this card. 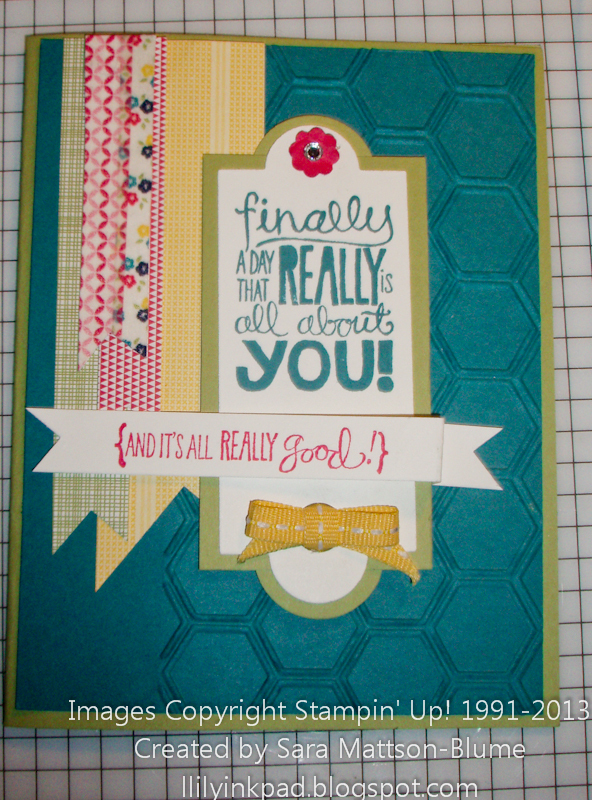 I used the Apothecary Framelit for the quote, but then wanted to back it with a matte. 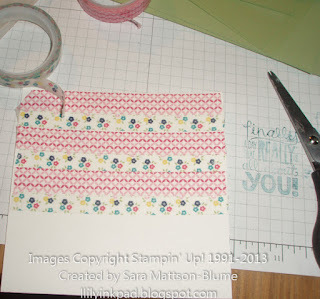 I cut a rectangle 1/4" bigger than the original and used the 1" Circle Punch to accent the half-circle ends. I used a small circle punch in the middle of the bottom circle to tie my bow through. I added the flower and rhinestone combo at the top for balance. To make the flags, I used my square punches to make even triangles out of the bottom. 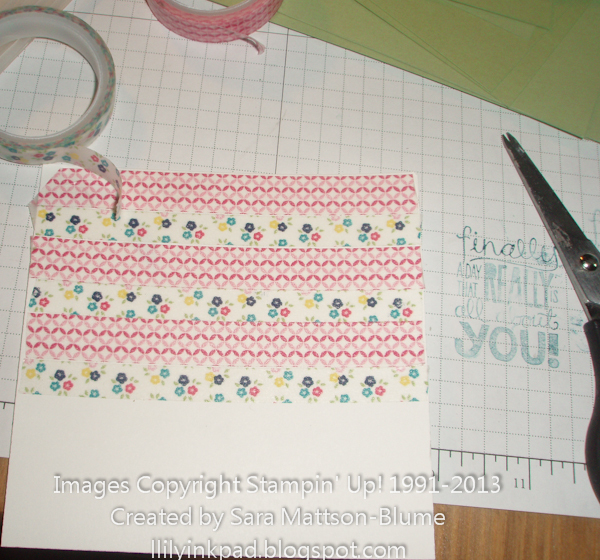 To make the striped flag, I used our new Washi tape on white paper and trimmed and punched it. I love the texture and colors! Cute cute cute Sara! What a great idea on making a mat for the apothecary framelit.